Trying to lose weight is often more about replacing foods in your diet rather than trying to starve by cutting down the amount of food you eat. If you can replace calorie dense foods like pizza, fries or chocolate cookies with bulky foods that have few calories in them, you will feel fuller for longer, and so will eat less. This is not rocket science. 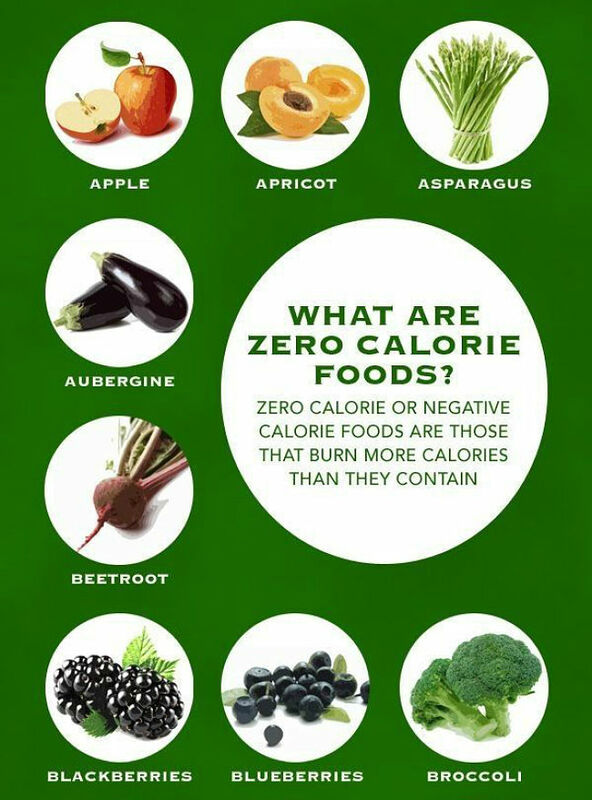 If the food you eat has fewer calories per serve this will help you lose weight. 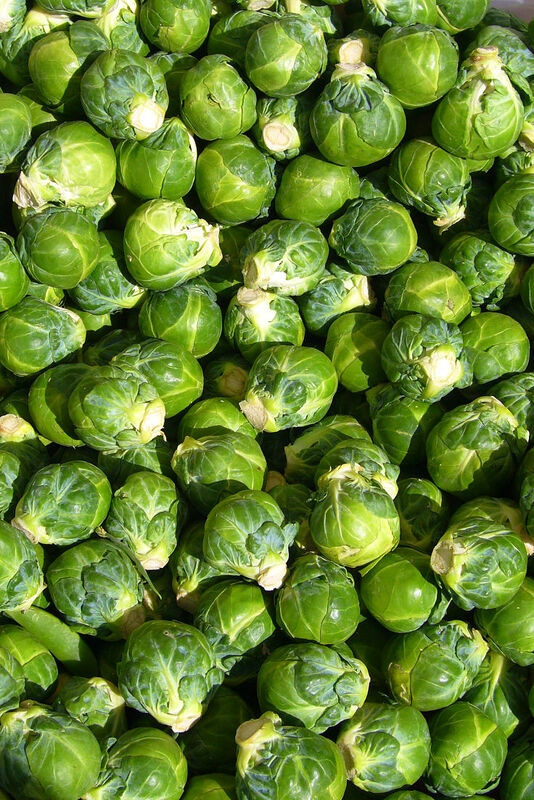 If the food you eat is bulky and rich in fiber and protein such as celery, Brussels sprouts or cabbage, it will take longer to digest, it will stay in your stomach longer and it will suppress you appetite. If you don't feel hungry you will be less tempted to eat snacks between meals. Many people have claimed that foods such as celery are 'negative calorie foods'. 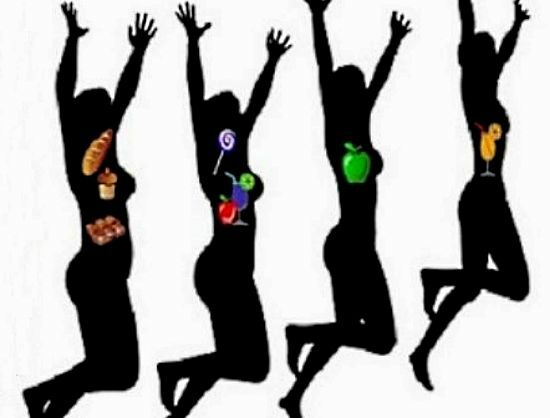 It is claimed that some foods require more energy to digest and process them in the intestine than they contain. 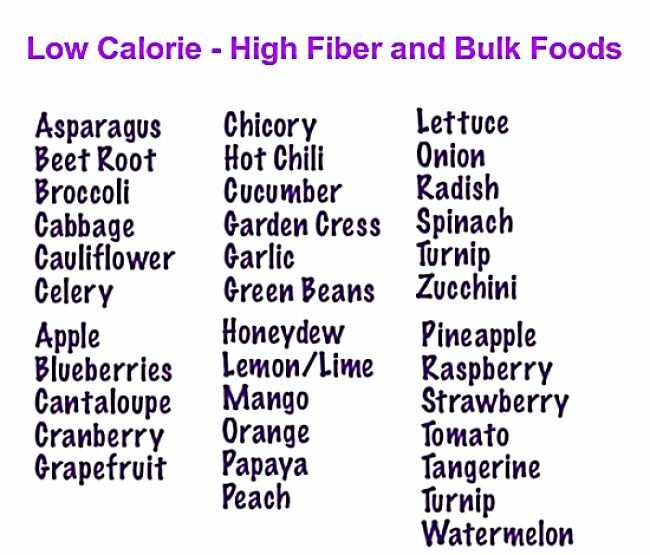 While this claim has been shown to be a myth, except for extreme cases the principle is nevertheless valid - Replacing high calorie foods with bulky foods rich in fiber, but with very low calories, will help you lose weight. So how do you find suitable foods? You can quickly eliminate meat and dairy product and most baked goods. Nuts and dried fruits also contain relatively high calories for their weight and volume. 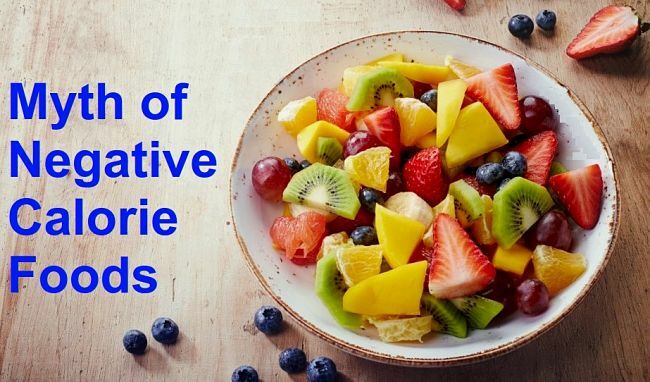 The best option is fruit and vegetables, but even some of these contain high natural sugars. Basically what is required is to look for foods that have relatively low calorie counts for a given serving weight. Most calorie charts do not allow you to make these comparisons because the serving sizes are all different. So for this article calorie and other nutrition data were compiled for common fruits and vegetables with the serving size standardized to 100g. Strictly speaking calorie density refers to the volume of the food, but having a standard weight is a good approximation for fruit and vegetables which have similar densities. 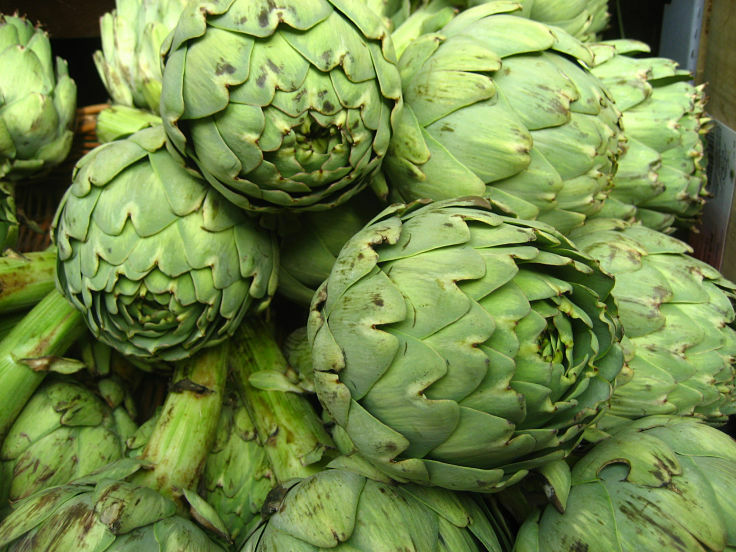 The table below provides a list of 100 fruit and vegetables ranked from lowest to highest number of calories. 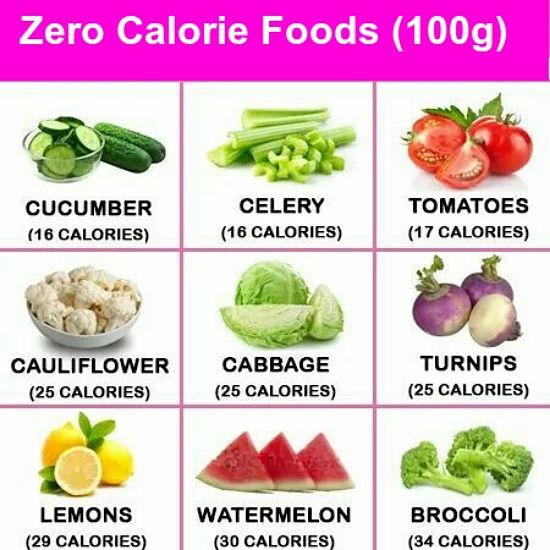 All of the food have less than 100 calories per 100g. As expected most of them are vegetables. Celery is in the top 10, along with cucumber, cabbage and lettuce. Many of the lowest calorie foods, such as lettuce, celery and cabbage are basically not very nutritious. The first compromise is to choose low calorie foods that have good levels of protein. This may be very important for vegetarians, especially vegans. 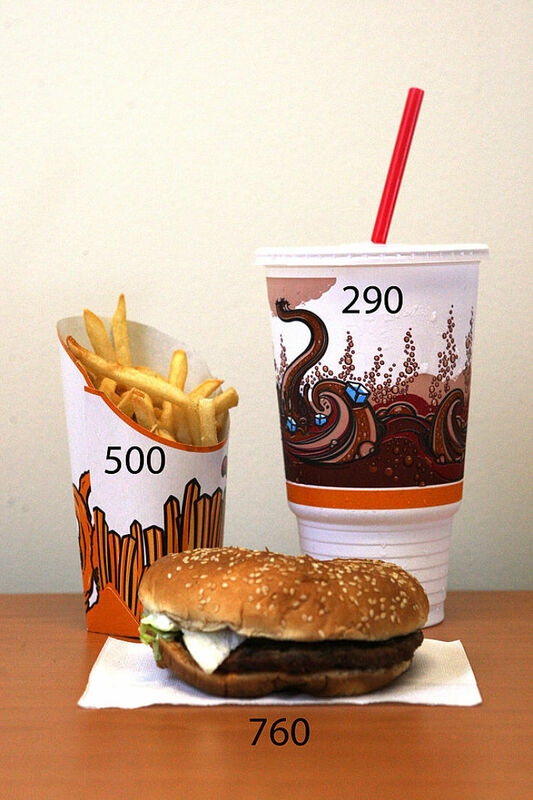 The chart and food listing opposite was produced using a formula.The number of calories was subtracted form the amount of protein multiplied by 15, to derive and index. All the top 10 were vegetables. Fiber in food is important not only because it adds bulk and slows down the digestion rate, but it has many health benefits, including helping to lower cholesterol and reducing the risk of heart attacks. For the chart opposite was produced using a similar index to that used for protein. The number of calories was subtracted from the amount of fiber multiplied by 15 to derive and index. 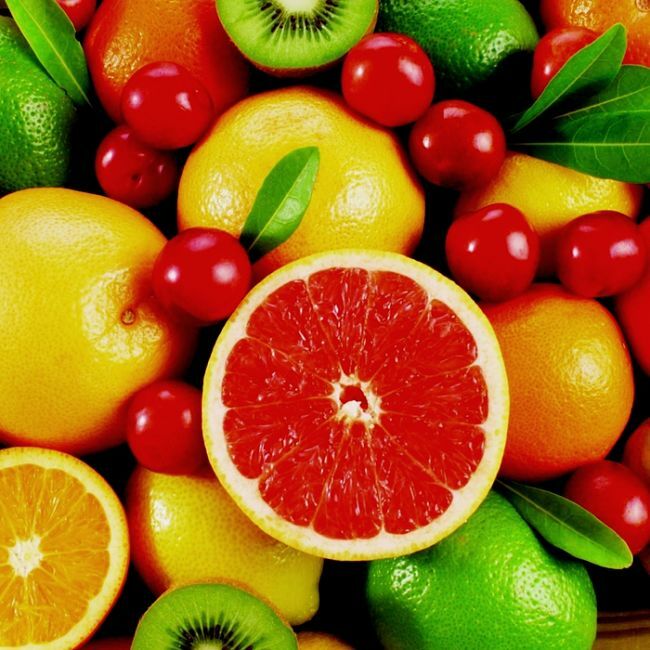 Many of the top 20 were fruits, many of which contain more fiber than vegetables. The final list was prepared using an index that included fiber, protein and calories. 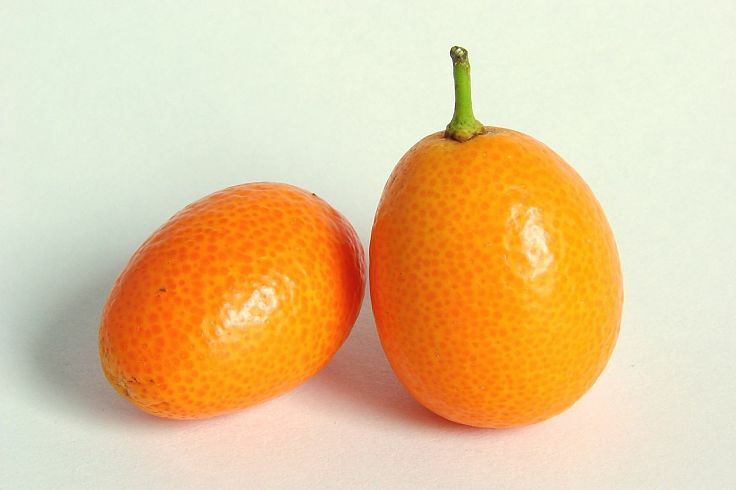 This list is a combination of fruits and vegetables.